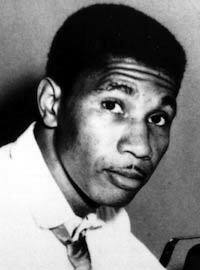 Medgar Evers was an African American civil rights activist. After experiencing discrimination in his home state of Mississippi, he worked for the National Association for the Advancement of Colored People (NAACP) as a field secretary. Although publicly committed to non-violent activism, he was murdered in 1963 by a member of the self-styled White Citizen’s Council. His death shocked America, and Evers has since been honored by having buildings and endowments named after him. His life and death are also commemorated in a wide variety of artistic works. Evers was born in the Mississippi city of Decatur on July 2nd, 1926. Like many places in the Deep South, Decatur, at that time, was a hotbed of racist sentiment. In later life, he told a story of how, when he was about 11, a family friend had been lynched. He claimed that the population of the town was well aware of what had happened, but that a conspiracy of silence prevented it from being properly investigated. The incident so shocked him that he resolved to do something to change the segregated world he had grown up in. He was a strong believer in the power of education to make a difference. He walked 12 miles a day to high school. Shortly after he left, the U.S. joined World War Two and Evers enlisted to fight in Germany and France. When he returned, he was angry that non-white citizens still did not enjoy the rights and freedoms for which he had fought in Europe with his country’s military. He attempted to enroll at the University of Mississippi, but was refused entry despite going to court to try to overturn that decision. Evers was a charismatic man, and he used the combination of this and his educational experiences to help bring people together. While working as an insurance salesman, he saw at first hand the deprived nature of many share-croppers’ lives. He then felt called to quit his job and sign up to work for the NAACP. He was frequently threatened with violence for his vocal support for integration, and his family also came under pressure. He was involved in many campaigns to improve the lot of poor Southerners, both black and white. He was particularly active in voter registration and integrated public schooling, as well as investigating the lynching of Emmit Till. Especially fulfilling was his success in forcing the university that had barred him to accept James Meredith as a student – the first non-white to be admitted. He also led a boycott of the city of Jackson’s public areas, which were arranged on a segregated basis. The state governor used strong-arm tactics against him, but the civil disobedience continued for many months. In June, 1963, President John F. Kennedy made a speech supporting civil rights. Hours later, Evers was dead. He was killed by a gunshot to the back while he was walking to meet his family at home. The killer, Byron De La Beckwith, was arrested and faced two trials, but in both cases the all-white juries could not reach a verdict. Evers himself, being a military veteran, received a funeral at Arlington National Cemetery with full honors. In 1994, De La Beckwith was again charged with murder. This time, he was convicted and jailed. Evers is now remembered as one of the giants of the civil rights movement.